December 4, 2015 / Adam / Comments Off on Cogburnt is launched! We have great news folks. Cogburnt, our first game, has been launched. This is new territory for the Deft Flux stable of information designers, but we think this product is going to be a hit. We know that many parents and families feel on-line and mobile games driving them apart. They no longer are sitting around a table playing games together. In response, we have attempted to provide a game that requires the players to sit together in the same room and (at least for now) on the same device. So head over to the App Store or Google Play, install Cogburnt, and let us know what you think! Coming soon from Deft Flux – something unlike anything we’ve created to date. It’s called Cogburnt. It might be a little too soon for you, but your kids are going to love it. 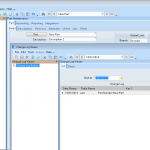 Ask Deft Flux: How do I Query a Hierarchical Bill of Material in Epicor? 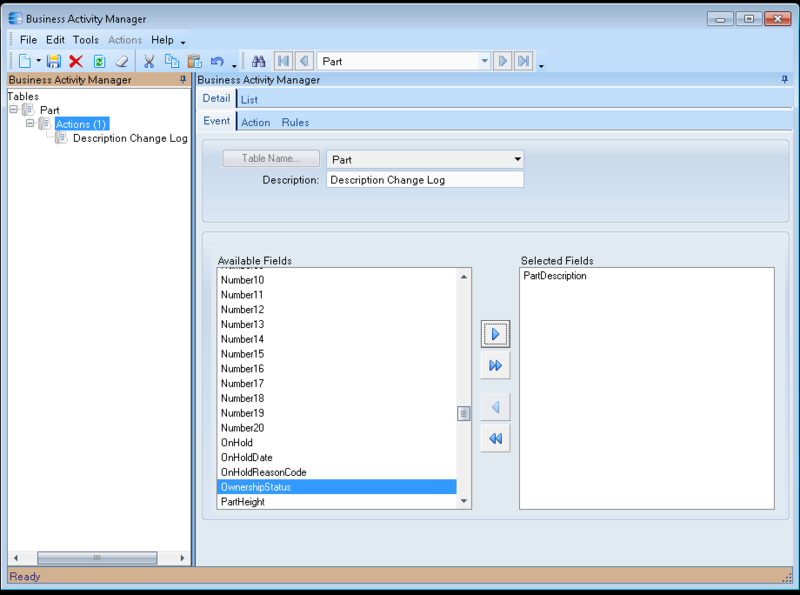 October 16, 2015 / Adam / Comments Off on Ask Deft Flux: How do I Query a Hierarchical Bill of Material in Epicor? 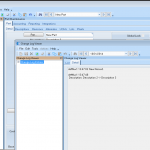 July 15, 2015 / Adam / Comments Off on Ask Deft Flux: How do I drop an Epicor report to a directory on the network? March 17, 2015 / Adam / Comments Off on Leaders – Get Ready for Seth Godin! Leaders, why do you work to stand out from the crowd? Why do you care about doing the right thing in the right way? You know that your actions, attitudes, and encouragement help those around you succeed. You also know that from time to time, you need that same encouragement from other leaders whose attitude is the same as yours. We believe the best one-day event in Oshkosh where you can find that encouragement is that Leadercast 2015. This year, we get to hear from Payton Manning and Rudy Giuliani, and we are particularly excited to hear from Seth Godin, whose thoughts on marketing are sure to be pithy and refreshing. Leadercast is a one-day event broadcast live from Atlanta to over 100,000 leaders around the globe, sponsored at Oshkosh by Deft Flux. Find a way to get there. Get your tickets now. 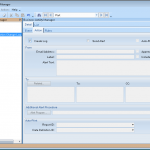 Ask Deft Flux: How can I log changes in Epicor? 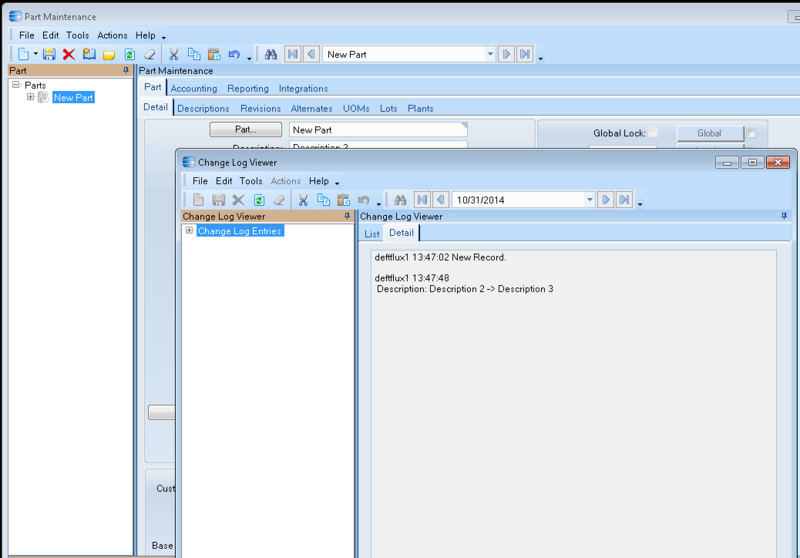 October 31, 2014 / Adam / Comments Off on Ask Deft Flux: How can I log changes in Epicor? We often hear from someone who needs to log changes to data in his business system. Perhaps a production supervisor wants to know when the description of a part was changed or a human resources manager wants a record of everyone’s pay rate changes. Maybe the human resources manager also wants to be notified by e-mail every time the pay rate gets updated. 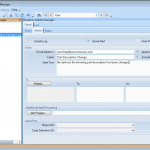 Using Epicor, logging table changes is as easy as pie. 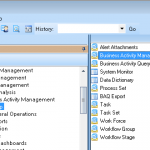 This week, we show you how to use the Business Activity Manager (BAM) to meet this requirement. 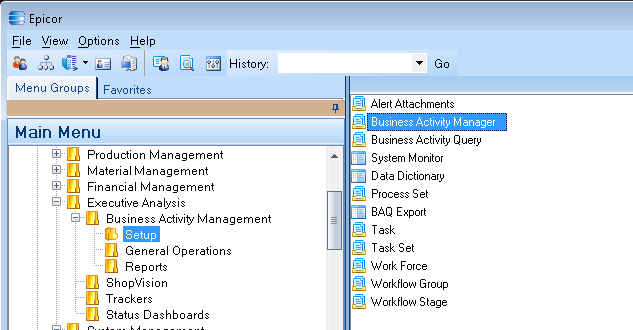 First, the BAM is found on the menu under Executive Analysis >> Business Activity Management >> Setup. 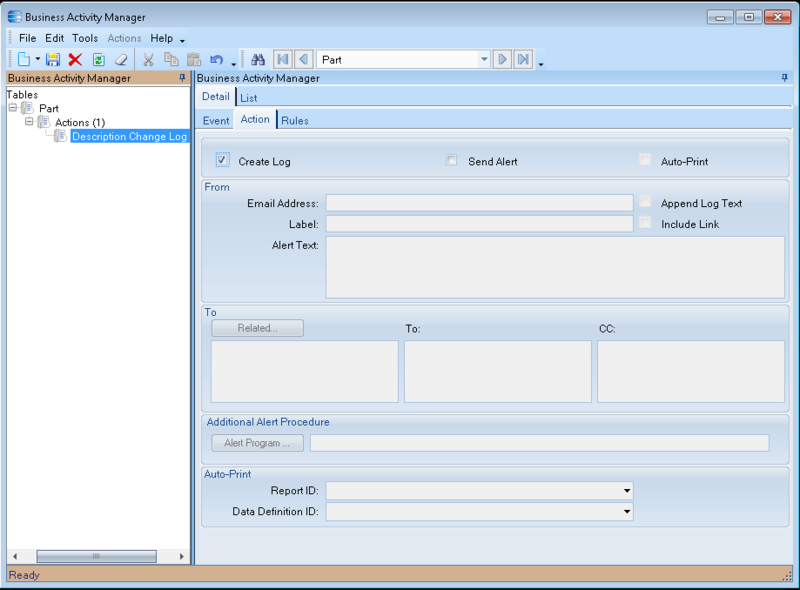 In the BAM tool, on the first tab, we simply choose the table and the columns in that table that we want to be logged. On the second tab, we choose the action or actions we want to take to accomplish the logging. We can have a log created. 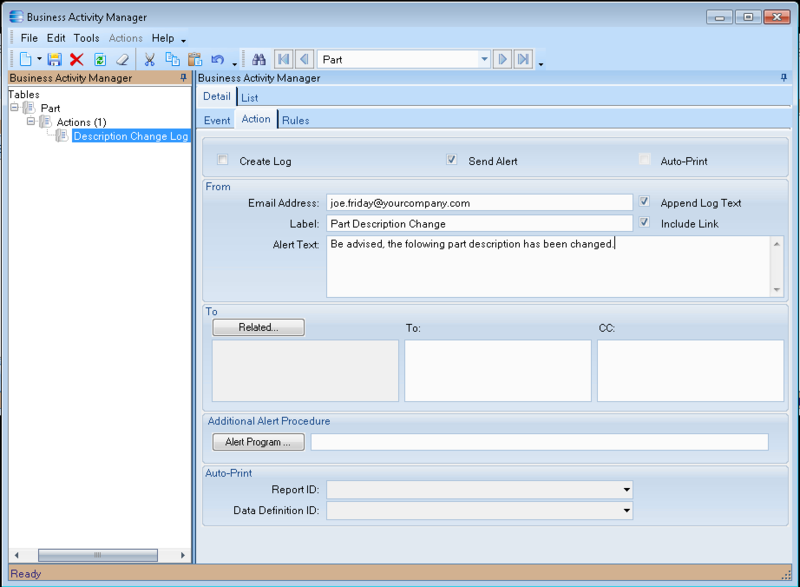 Simply check the “Create Log” box. We can also choose to have a message sent to the interested party. The message can include a simple alert, a link to the changed record, a copy of the log, or all three. On most master data screens, the log viewer is ready to go. The on screen log is accessed by pressing the log button. Note that when a logged change is present, the book lights up with a sparkly-bit. The log simply tells you the date and time of the change, the old value, and the update value, which can be quite valuable. Now, the BAM can also automatically kick of a report whenever some key thing is updated. That, however, is another story for another day. If you need help setting up your logging, or any other business process, give us a call. We are here to help. Leaders, with Leadercast Oshkosh only three weeks away, you need to get the date on your calendar right now (seriously, open your calendar right now and block out May 9) and then go over to http://leadercast.com/location/oshkosh/ and purchase your tickets (I am still serious; stop reading this right now, go buy your tickets, and then come back and finish reading). 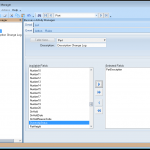 Ask Deft Flux: How Do I Export an Epicor Report Data Definition? 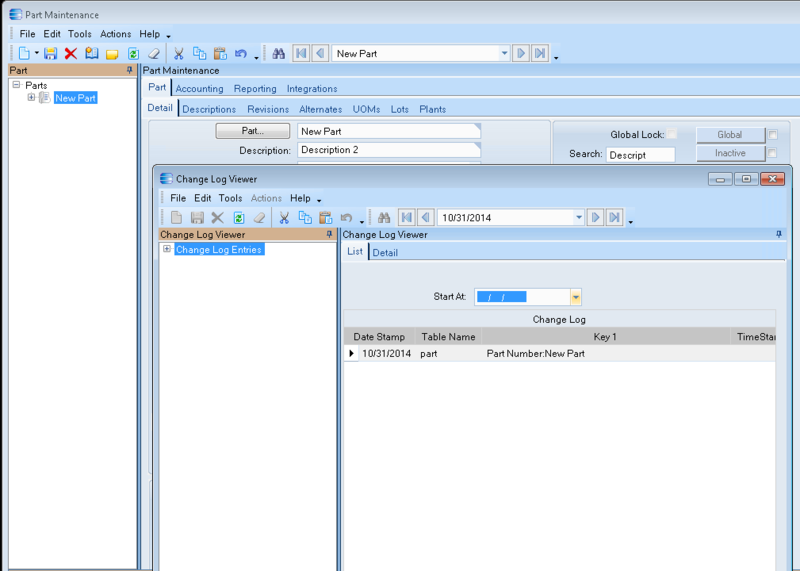 April 10, 2014 / Adam / Comments Off on Ask Deft Flux: How Do I Export an Epicor Report Data Definition? In the world of Epicor, most customer modifications (Dashboards, BAQs, Customizations, etc.) can be individually exported to a file and thus imported one at a time. This is a convenient way to make a quick modification and move it from Pilot or Test up to Live. Not all modifications are created equal, however. A Dashboard cannot be imported to update an existing Dashboard with the same name. The dashboard must be renamed. Report Data Definitions cannot be directly exported at all. Leaders, Do Your Meetings Sound Like This? January 31, 2014 / Adam / Comments Off on Leaders, Do Your Meetings Sound Like This? Leaders, in our continual quest to take down obstacles for our teams, to help them succeed, we always asks, “Is this meeting necessary? Will it add value today?” We try to make our meetings bearable by stating a clear purpose, by inviting only those who are central to that purpose, and by keeping focus on the goal, yet even in the best run meetings we experience the agony of missed communication. Let’s all watch and laugh at ourselves as Leadercast host Tripp Crosby demonstrates how the best of meetings can go awry. What’s worse than a conference call? A conference call in real life.